So as some of you may know, I am, in addition to a homebrewer, an author who writes a fair bit of fantasy material. 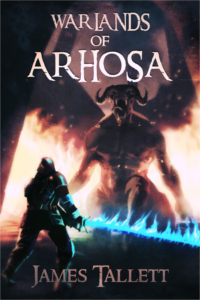 Recently, I've combined the two, and today I'm happy to announce the first short story set in Arhosa has made its appearance at Amazon. Now while I, like every other author, would love to see you all buy thousands of copies and write glowing reviews, I thought instead I would give the members of this forum free copies, as a little token for all the fun times I've had (and continue to have) while here. Simply pick from Kindle or ePub (Nook, Kobo, etc.)! And if you have any trouble, please just ask away.